Using your own name, a specific goal boiled down to a word or two, a god-name, an ancestral name, etc., spell the name or word, giving a separate line for each letter (an acrostic). Then, in a meditation or ritual, dream or other prompting, ask for guidance. Write what comes to you. You may wish to do this on successive days, either with the same focus, or a succession of names. Hearing and sharing the same name set up a connection, and seeing his formal portrait, and later other pictures of him, confirmed a link I value to this day. I’ve deepened it with writing about him in pieces like the one below. Though this one’s not specifically about him, it’s about connecting with the ancestral legacy we all bear, about the Ovate flavor of experiencing the inward journey, about the Bardic encounter with ever-deepening mystery at the heart of things. In the end, they’re not separate, and it’s a relief not to struggle to sort them out, but wait until they clarify, like a muddy stream will, in a few days, after a rainstorm roils the waters. Just pay attention, whisper the Ancestors. That’s a good half of everything we ask of you. Sometimes what you receive or create is for you alone. It is sacred, which means no one else has any say in the matter, nor any opinion to touch upon what is inmost in you, unless you grant it. What you welcome is not for others’ commentary or reaction or judgment, but for blessing and connection and the kindling of a holy fire within. Other times, you may receive inward blessing to share, but these decisions themselves are not for debate with others. Choose prudently. In the poem above I underlined the letters of the name prompt. The two final lines, both beginning with the letter “a”, came after some listening time, later the same day. When I say the lines to myself I hear them now as a kind of breathing, or sigh, or a voice without words, a sound at the edge of hearing. In a fit of New Year’s house-cleaning, I spent part of yesterday going through photos and papers my mother left to me. She passed sixteen years ago, but only now am I finally getting around to culling photo albums and memorabilia. Unlabeled pictures of ancestors I don’t recognize I’m discarding. (The clearest of them I’ll scan and post to ancestry.com — someone may perceive a link to their own story.) Together the images I’m discarding will make for a personal springtime ritual of memory, which feels now like it should be annual: to the unknown ancestors. Among my mother’s effects was a sealed envelope, with a notation in fading Victorian script: “Worth County Eagle of Feb. 10, 1881”. Worth County is rural northern Iowa, where my mother was born and grew up. The paper is just one quarter its usual size, and the Feb. 10th issue opens with an apology, explaining that the recent three-day blizzard has delayed their paper shipment, and so the present issue is small, a single sheet, folded in half to make four pages. The railroads are all blockaded. Possibly the BCR & N [railroad] may get trains to Albert Lea [nearby in Minnesota] by Saturday night, if they have no bad luck. The Minneapolis & St. Louis [line] is in very bad shape. Six engines are dead at Hartland and the road is full of snow. They cannot clear the road this week. Last Friday afternoon, Joe Fleming, of Kensett, came to Northwood, on horseback, for a coffin, for the only child of Chas. Christenson. It was late on his arrival, and he did not think it expedient to venture out again, so near dark, and remained over night. Our readers all know what a day Saturday was, and it was unsafe for one to be out on the road, so Joe waited until Sunday morning. By then it was impossible for him to get his horse out of the barn, on account of the deep snow. But he made up his mind that the trip must be made, and so had the coffin fastened securely to his back and started on foot, during that severe snow storm. He arrived at home safely. What we do simply to survive is worthy of story. Let’s not diminish the lives we lead today. One-hundred thirty-seven years ago a child died, a human grief, and that death sparked the human determination that became this particular story. What is remembered lives. But we chose what we remember. Storms occasion such stories, markers of our lives. Everyone has one or more to tell. May you be warm and safe and cherish your stories, however hard-won. By living them you’ve earned them. Such memories number among things that need to be born. From the OBOD “Inspiration for Life” for 26 October: “Our greatest responsibility is to become good ancestors” — Jonas Salk (1914-1995). Search for information on Salk and you’ll find, beyond his discovery of the life-saving polio vaccine, that the original quotation has “be” for “become,” but “become” fits. It gives us room to grow into the role. Growth? I don’t know about you, but most days I need all the help I can get. We can be as literal as you like. My father had a mild case of polio in the 1930s when he was a young man, and it stunted the growth of his legs. He would have been as tall as I am at 6’2″. When we sat, we were the same height, but standing, he was six inches shorter than me. He made up for reduced stature by work and persistence (if you’re uncharitable you might have called it cussed stubbornness). Sometimes we can feel like we’re cast against type in our own lives. What now? If I approach the day, the season, this life, as roles, I can often feel my way into possibility. We’ve all slipped in backstage. From there we tried out for this role — like almost all the others we’re offered — just by being born. Set aside for a moment the question of whether any of us asked to be here. If we do indeed get recycled from one part of this universe into another, perhaps our own ancestors called us, and our parents made bodies for us and brought us back to the longest-running show of them all. Have kids, and we’re doing the same for them. No kids this time around? You won’t escape that easy. Live in this world more than a handful of years and you’ll meet others you instantly warm up or cool off to. Mere chance? Unlikely. Instead, one big noisy, contentious family reunion. You never liked Great-Uncle Louis, only now (s)he’s your one-year old niece Lucy who just spit up on your new silk shirt. Or that annoying nephew Luke who always manages to bring back your car with a few more dings and scratches whenever he borrows it. You’d say no but you still owe his mother a few grand from that tight period some years back. After all, karma’s one of the most efficient ways of polishing rough edges. Get back what you give out. Until you decide to play it differently. A different take. An original interpretation. A dramatic break-through. A sensitive and well-rounded performance that elicits sympathy for a potentially unlovable character. Some days I get a foretaste. I wake, sliding slowly out of bed feeling I’m already halfway to ancestor status. You know, when your body’s now the best barometer for tomorrow morning’s weather. Low pressure and my lower back aches. Rain coming and my shoulder throbs. At such times it’s slender consolation that half a millennium hence my thighbone may decorate some family altar, or that my brother’s great-great-great-times-10 granddaughters will drink toasts from my lovingly preserved skull. No, Salk probably meant something more. While not all of us will fall fighting to defend our land for our descendants, in every age too many of us do. But just as many of our battles are inward, and many outwardly calm or seemingly easy faces conceal, it may be, most grievous private wars. It’s fitting, then — humbling, sobering and just — that we may well return to see what becomes of our own deeds. For me there’s no better perspective. I find myself asked to forgive less than glorious forebears. “Judge not, lest you be judged” can cut painfully close. Knowing my own struggles and weaknesses, I’ll toast them with a generous measure of compassion — not because they may “deserve” it, but because they need it, and so do I — even as I honor the great among them, this weekend on Samhain. says Canadian poet Charlotte Hussey. And some of the Wise will tell you that imagination is the astral sight: we see by other means than merely light rays reaching the retina and dashing up neurons to the brain. Light everywhere has its place, but physical light does not account for those familiar or haunting landscapes we’ve never visited, companionable (or challenging) beings we have never met, and so on. Or indeed, landscapes and beings we have met before. Just not here. But do we even want to hear “what needs to be spoken”? And if we opt to listen, how do we distinguish this needful message in the midst of the clamor and noise of all the other increasingly hysterical voices around us? Small steps. I keep returning to this most helpful strategy. Our own practice of silence is a beginning (and advanced) step that helps with discernment of an inner truth we each know for ourselves, if we listen. If we can’t discern it, we can imagine it. Finding a still point beyond the mind chatter. Walk along a quiet sidewalk with trees, find a park, a quiet corner of your apartment or condo or neighborhood. Stillness as practice. Focus or mantra or prayer. For Christians, scripture like “Be still and know that I am God” makes a powerful start. Pagans have an equivalent range of seed-verses and prayer-songs. Sometimes the name of deity, or a suitable word like awen or om or amen. Song or chant in a language you don’t know, to take you out of your talking head (and anybody else’s, too). Symbol or mandala or image, for those who prefer the non-verbal. Cross, triskele, star, Platonic form, face of a beloved. Worship kinetically: pick up colorful leaves, play in the mud, lie on your back and watch the clouds. The skills we practiced effortlessly as children have not abandoned us, though we may have “put away childish things” as we raced off to concern ourselves with “matters of importance” and the wide word of adult stress and doubt and angst. Substances used reverently, like various smudges and smoking herbs, fermented drinks, and so on, have featured in worship and ritual and self-care for millennia. More important than what I do is doing it often enough that it becomes for me a spiritual practice. I cannot remember the paternal grandfather I was named for: he died 14 years before I was born. All I have of him are three yellowing photos and a handful of stories. But I imagine him when I honor my ancestors of blood and spirit, and he’s more alive to me as a result. A link, however tenuous, that I (and he, from his side) can strengthen at will. IMAGES: Charlotte Hussey; D W Easton, circa 1925, on his mail route in Niagara Falls, NY. *”I think we’re living in a culture that’s so demanding: You never feel like you’re good enough. It wears people down. People are exhausted at the end of the day. They go home and have a drink as a way to cope with all of this—a lot of people have to self-medicate because it would be hard for them to look in the mirror otherwise. The whole concept of being conscious—that’s hard work. A lot of people just don’t want to sign up for it.” “Alcohol as an Escape from Perfection.” Atlantic, 10/13, accessed 10/4/16. Here’s the poem* I read by the fire** at Saturday night’s eisteddfod at ECG ’16. I’m also submitting it to Touchstone so you may run across it there if it’s accepted. and start drinking with the Ancestors. the Dead are chummy when you meet ’em. gets you thinking: toast the Ancestors! glasses clinking with the Ancestors. may find us falling on our asses. though we’re blinking at the Ancestors. feel like sinking toward the Ancestors? tattoos we’re inking for the Ancestors. that have us shrinking from our Ancestors. all these stinking, damned Ancestors! so cheers to drinking with our Ancestors! *I’d drafted the piece at ECG ’12, with the title/last line echoing in my head all weekend, then revised it a few days before this year’s Gathering. Tomorrow we have a day off from classes for a visit to the Yale University campus. 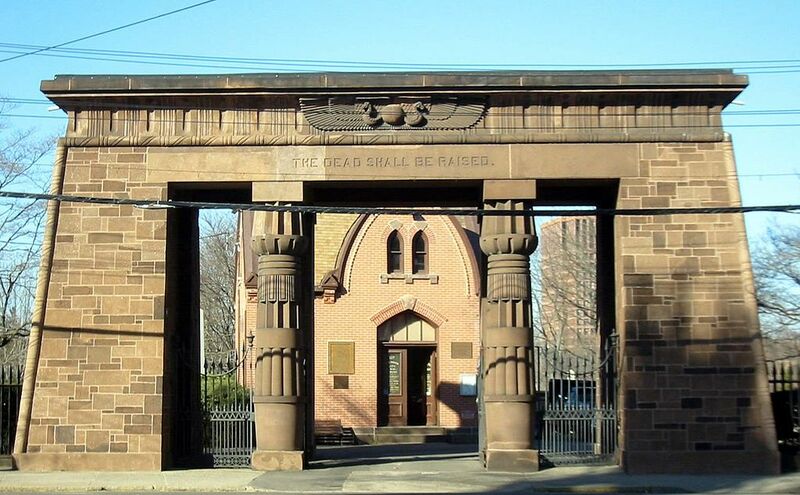 For the older students, we’ll also make a side tour of Grove Street Cemetery, listed as a National Historic Landmark for its historical interest (its first burial occurred in 1797 after a Yellow Fever epidemic), the names of its famous dead, and its enduring ties to Yale. In the past year my wife and I’ve discovered our ancestors lived in the same small town (in a different state, near the Canadian border) around the same decade that Grove Street was established, and mostly likely they knew each other. And as we’ve been telling the students this summer, a well-landscaped cemetery can be a peaceful and unique experience, because it can enlarge our sympathies and imaginations beyond the immediate concerns of own lives. Live long enough, I’m finding, and your sympathies may enlarge so that any dead become part of your honored dead. We share DNA from around the planet (one of my cousins had his DNA tested and found Greek and Central African markers in it), we all face the same challenges of dying and living, and if the dead have any honor in my memory, it’s because I give it to them. 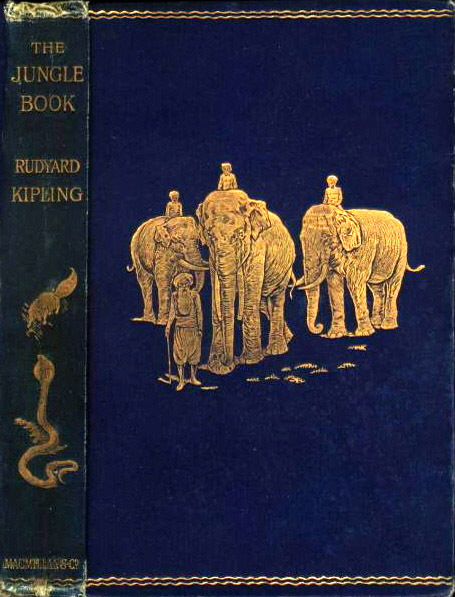 In Kipling’s Jungle Book, the human boy Mowgli says more than once to his animal companions, “We be of one blood, thou and I.” Such simple acknowledgements may at times matter more than many prayers and offerings, if they open our hearts to gratitude and the wisdom we inherit in our bones and our mortal dreams. So tomorrow in my own way I’ll commemorate the “Grove Streeters” by reading and repeating their names, pouring libations of water (nothing stronger — I’m with adolescents, after all) in their honor, and acknowledging their part in shaping the world as we have it today. And always, I am confident, there will be others who will follow us and do the same, touched through their own sufferings and joys by a similarly enlarged sense of kinship.